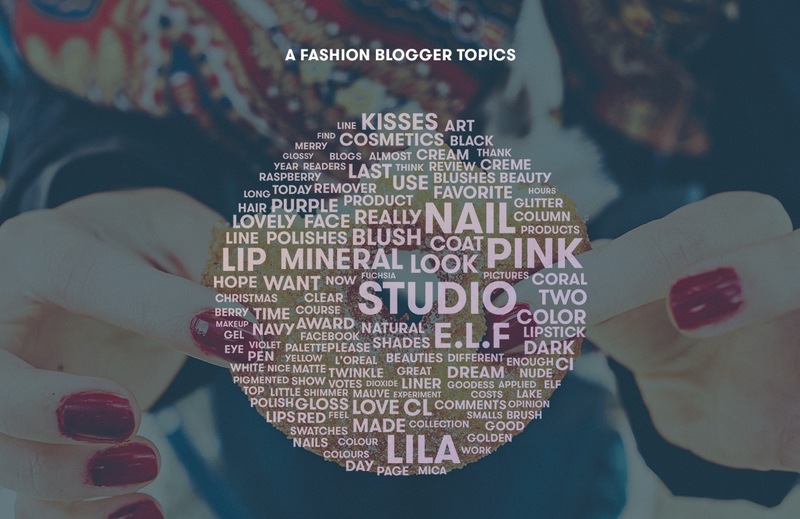 One of the world's largest personal care brands want to approach the right fashion and beauty bloggers in order to execute their content marketing strategy. The blog content analysis helps you select the blogs that fit nicely with your brand. The content of a blog is analyzed according to the language that it uses and to the community that it engages. The content analytics are complementary to the web analytics. A set of blogs was discovered through link sharing and backlinks and the blogs were crawled in order to create a recent corpus of posts and comments to analyze: The bloggers’ social media profiles that were linked to their blogs, were extracted; Additional content was also crawled and analyzed from the Facebook pages and the Twitter accounts of the bloggers; A wide range of metrics and visualizations were produced in order to extract and study the bloggers’ profiles; Text Complexity and Blogger Personality metrics were computed for each blogger. Following the analysis, the brand selected a few bloggers that will build the content and bolster the brand message to their audience. They were characterized by a large readership and fitted nicely with the values of the brand and its target audience.